For notes and private writing, I tend to favor aqua and green inks although Stipula Verde Muschiato is neither but still a favorite. 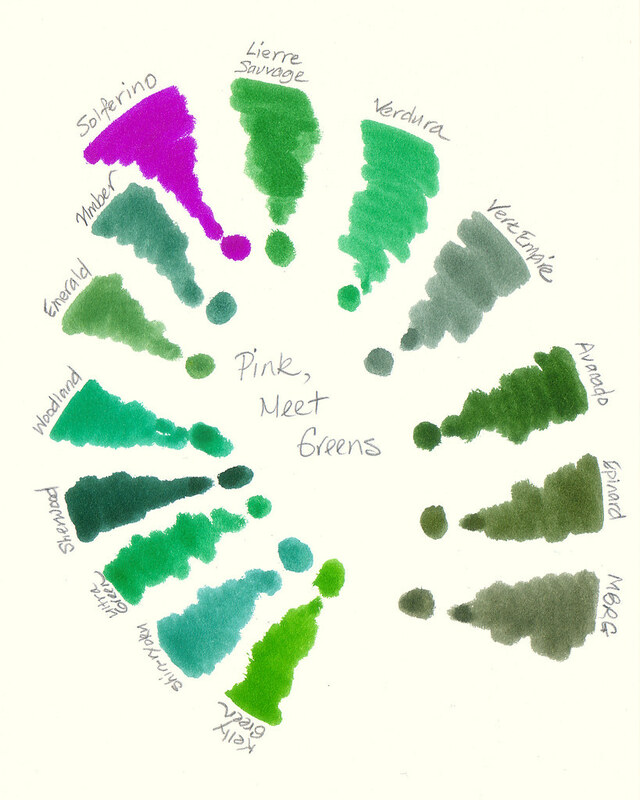 Mountain of Ink has an excellent green ink comparison page that includes most of my favorites. The colors are displayed beautifully and revealed how dissimilar are the inks in my green rotation. That variety keeps green fresh and lively for my daily use. 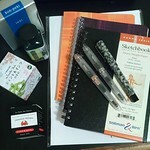 How do you maintain your interest in ink? What does it say when it only takes a silly dog video to make my day? Which music nib is best? If you are shopping on Amazon this holiday season, please consider using my Amazon portal located in the sidebar when you enter the site. Commissions are small, but they do help keep Inkophile going. Thank you!